Many people think that the birthplace of country music is Nashville, but that’s not the case. Country music actually started in Bristol, Tennessee (Library of Congress, 2). It became known as Country music in the 1940’s. Country music diverted from Celtic music, blues, gospel, and old-time music. This type of music was common before and during World War 2. We know country today as Keith Urban or Carrie Underwood, but we don’t actually think back at the history and how it started. According to Cheri Media Group, some early traces of country music were barn dances; barn dances had country music playing with fiddles, and artists it started off as a place to hang out, and became even bigger. 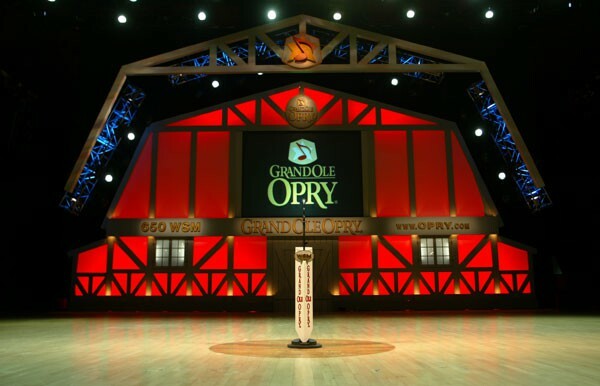 (2) Today we have the Grand Ole Opry which is probably the largest known building which holds all of the great country legends. According to Pete Fisher, an Opry general manager, “The Grand Ole Opry celebrates country music’s diversity” (1). So basically Fisher is saying that Country music is not just stereotype music, it includes many different types of music combined. Country is a homegrown music genre; it has many different styles of music, so that’s why so many people like it today because it’s not just one specific type (Shmoop University, 1). There are many different places that you can watch and listen to country music. One of the most famous places to hear and see this music is the Grand Ole Opry. The Grand Ole Opry wasn’t originally called that it was called the WSM Barn Dance, and later in 1927 became known today as the famous Grand Ole Opry. For entertainment back in the 1960’s, Frank Peppiatt, and John Ayleswoth created Hee Haw. Hee Haw had all of the famous country music artist back in that time so the people that couldn’t afford to go see their favorite singers could watch them on TV which was a huge revolution(Gaylord Program Service, 2). Today Hee Haw is a part of the Country Music Hall of Fame (Gaylord Program Service, 2). Today we can listen to country music on the radio or turn on our TV and have dozens of country programs so that we can listen to it on TV. The most famous places where you can listen to music and catch up on all of the famous country stars are CMT, and GAC. Almost everywhere you go you can listen to the new and old famous country songs, because of the different type of medias of country music. We sometimes don’t think about how country music started, who started it, and who sang it! There are many different singers that make up country music. Some of the most famous oldies singers are Loretta Lynn, Willie Nelson, Dolly Parton, Merle Haggard, Hank Williams and many more. Probably one of the most famous classic country music starts is Loretta Lynn, she recently just celebrated 50 years in the Grand Ole Opry (Loretta Lynn.com, 2). She was big during the 60’s and 70’s, she got 70 hits in the time that she sang (Cmt,1). Today one of the most famous country starts is Carrie Underwood, she tried out for American Idol in 2005, and ended up being the first country music star to win (Cmt,1). Her first album “Some Hearts” sold over 300,000 copies in the first week it came out, which is a breakthrough for a new artist. She has over 12 million albums sold in her career. There are many different artists that make up country music. Without artists like these country music would not be as popular. "Birthplace of Country Music." Birthplace of Country Music. N.p., n.d. Web. 30 Oct. 2012. <http://www.americaslibrary.gov/es/tn/es_tn_bristol_1.html>. "Carrie UnderwoodÂ Â -Â Â Biography." CMT: Country Music Television. N.p., 2012. Web. 30 <http://www.youtube.com/watch?v=nCf2PoTuh4Q>. ­­­­­­­­­­"Grand Ole Opry." Grand Ole Opry. Grand Ole Opry, 2012. Web. 30 Oct. 2012. <http://www.opry.com/about/History.html>. "Hee Haw." Hee Haw. Gaylord Program Service, 2010. Web. 30 Oct. 2012. <http://www.heehaw.com/about.php>. Hee Haw. Perf. Roy Clark and Buck Owens. Hee Haw. Youtube, 2011. Web. 1 Nov. 2012. <hee haw video>. "Hee Haw." Squidoo. Squidoo, 2012. Web. 30 Oct. 2012. <http://www.squidoo.com/heehaw>. "Life Quotes by Country Music Singers." HubPages. HubPages Inc, 2012. Web. 30 Oct. 2012. <http://scarlton.hubpages.com/hub/Life-Quotes-of-Country-Music-Singers>. "LOOK FOR LORETTA ON THE COVER OF COUNTRY WEEKLY."LorettaLynn.com. N.p., 2010. Web. 30 Oct. 2012. <http://www.lorettalynn.com/50/>. "Loretta Lynn Biography." Bio.com. A&E Networks Television, 1996-2012. Web. 30 Oct. 2012. 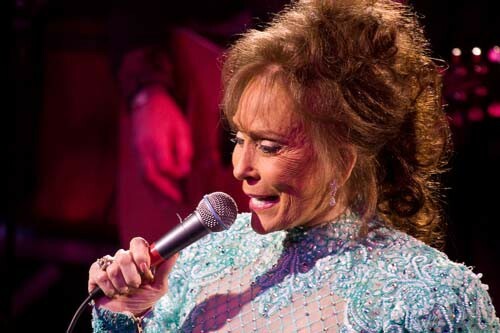 <http://www.biography.com/people/loretta-lynn-9389831>. N.d. Photograph. Hee Haw.com. Gaylord Program Service, 2012. Web. 23 Oct. 2012. <http://www.heehaw.com/photos.php>.
" The Beginnings. Cheri Media Group, 2008. Web. 30 Oct. 2012. This Is Country Music. Perf. Brad Paisly. This Is Country Music. Youtube, 2010. Web. 01 Nov. 2012. <http://www.youtube.com/watch?v=n_KxM4rU38Q>. "Still the Best Software for Free Music!" Genres Country Music. N.p., n.d. Web. 30 Oct. 2012. <http://audials.com/en/genres/country_music.html>. N.d. Photograph. Google Image. Web. 23 Oct. 2012. <http://www.google.com/imgres?q=country+music&num=10&um=1&hl=en&biw=1024&bih=667&tbm=isch&tbnid=2WFiNgVg1wtoPM:&imgrefurl=http://love-countrymusic.blogspot.com/&docid=tKNgeZ1xFIFcKM&imgurl=http://4.bp.blogspot.com/_BH8nXosjbbE/Sg-n9RD1cYI/AAAAAAAAAAc/dNgQm__09lY/S1600-R/country-music2.jpg&w=600&h=300&ei=ncGGUJHGLOTVyAGcl4DABg&zoom=1&iact=rc&dur=377&sig=117311926872310043781&sqi=2&page=1&tbnh=96&tbnw=192&start=0&ndsp=15&ved=1t:429,r:2,s:0,i:142&tx=60&ty=57>. N.d. Photograph. The Pitch Music. Google Image, 2012. Web. 31 Oct. 2012. <http://www.pitch.com/binary/ce36/LorettaLynn_18_500PX_1.jpg>. N.d. Photograph. The Grand Ole Opry. Aldora Computer Solutions, 2010. Web. 1 Nov. 2012. <http://www.savingcountrymusic.com/tag/the-grand-ole-opry>.